Christmas is almost upon us, a time when the TV becomes both a luxury and a distraction as you deal with seeing more family in one place than you probably see all year. To help with your viewing choices, the BBC has revealed their Christmas offerings. 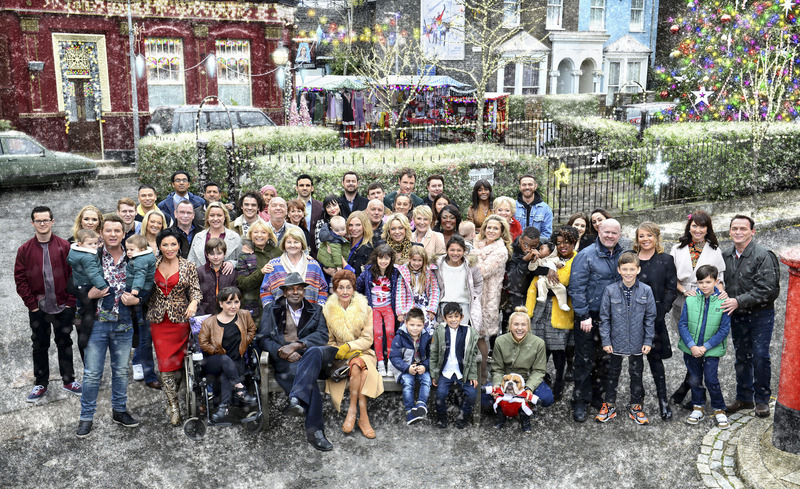 Families at war will lead to tragedy and the worlds of some Walford residents will come crashing down around them. The Beales and Mitchells reach breaking point, which leads to life-changing consequences, and the Carters’ wedding finally arrives, but will it be a happy new year? On a leave of absence from the police force, Luther is laying low in a rundown cottage on the edge of England. But a visit from his old colleagues at the Met brings a shocking piece of news that draws him back to London in search of the truth. 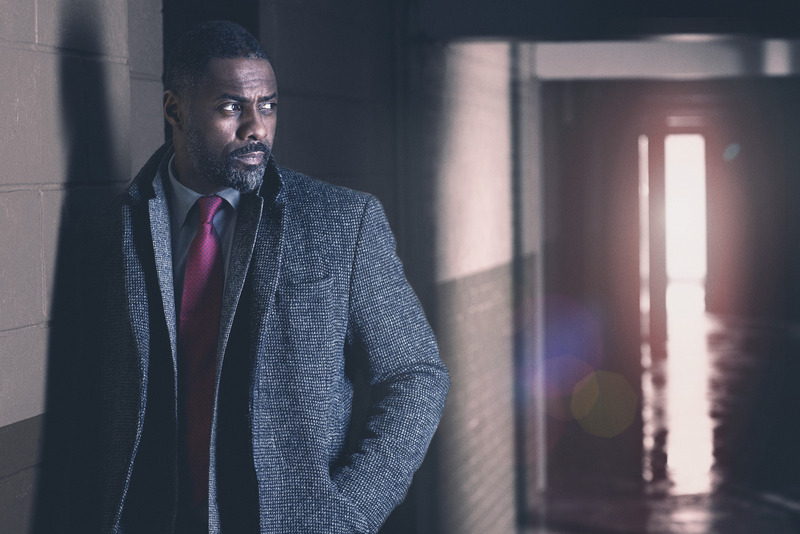 Picture shows: Idris Elba as Luther. As celebrations swing into action, Poplar readies itself for Christmas 1960; a festive bus trip to see the Regent Street lights and a visit from a BBC film crew promise to make it a Christmas to remember. But it’s a difficult time of year for grieving mother Iris, bringing back memories of her long-departed baby daughter. Picture shows: Nurse Patsy Mount (Emerald Fennell), Nurse Trixie Franklin (Helen George), Nurse Barbara Gilbert (Charlotte Ritchie). Agatha Christie’s best-selling crime novel comes to BBC One for a three-part adaptation. 1939. Europe teeters on the brink of war. Ten strangers are invited to Soldier Island, an isolated rock near the Devon coast. Cut off from the mainland, with their generous hosts Mr and Mrs U. N. Owen mysteriously absent, they are each accused of a terrible crime. When one of the party dies suddenly they realise they may be harbouring a murderer among their number. 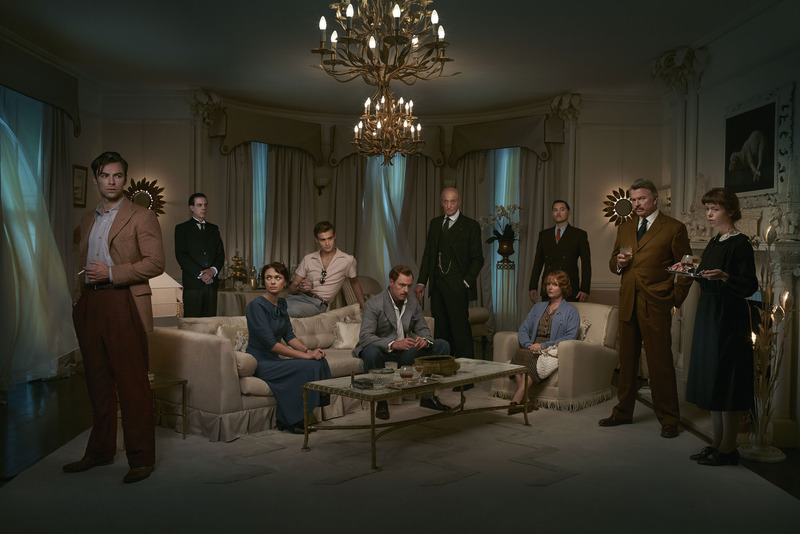 Picture shows: Cast featuring, Aiden Turner, Douglas Booth, Charles Dance, Miranda Richardson, Anna Maxwell Martin. Billionaire Boy is the story of Len, who makes a billion from inventing a new toilet roll, and his 12-year-old son Joe, who appears to have everything he could want but what he really needs is a friend. Picture shows: Elliot Sprakes as Joe and David Walliams as Mrs Trafe. 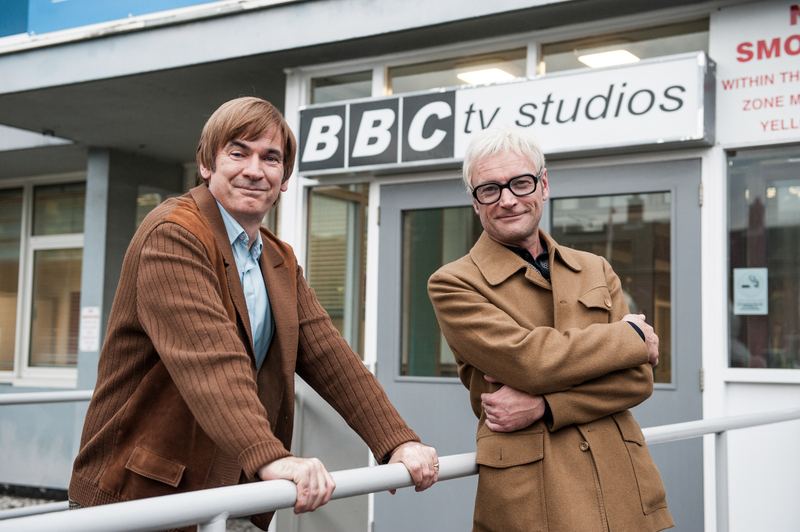 The dramatised story of how Jimmy Perry and David Croft overcame BBC management scepticism, focus groups and cast constipation to get the much-loved series onto air. Running from Perry’s initial idea in 1967 until the transmission of the first episode in 1968, this affectionate and witty film shows the beginnings of Perry and Croft’s writing partnership and the casting woes, personal clashes and production difficulties that put the show’s very existence in jeopardy. Picture shows: Jimmy Perry (Paul Ritter), David Croft (Richard Dormer). Welcome to ‘Sherlock’ in 1895! 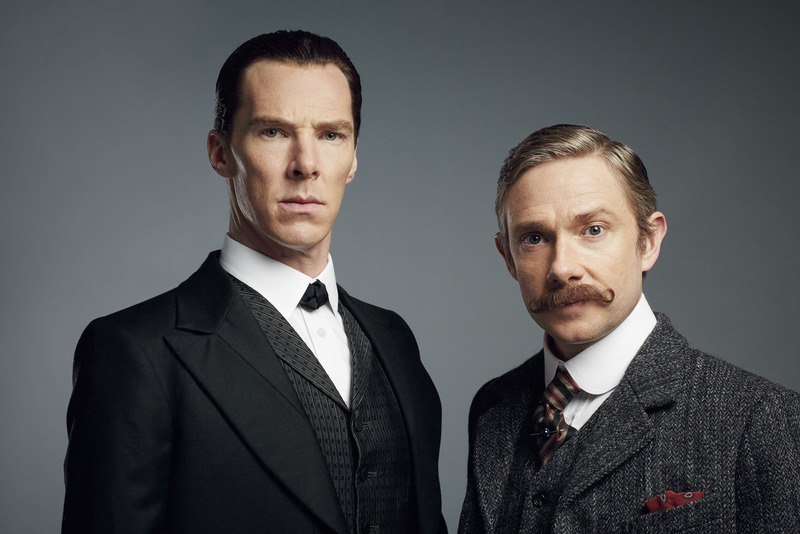 Picture shows: Sherlock Holmes (Benedict Cumberbatch), Dr John Watson (Martin Freeman). Six of the most loved Strictly Come Dancing winners and contestants from previous series will return for a festive edition of the nation’s favourite show. Celebs returning are Abbey Clancy, Alison Hammond, Cassidy Little, Harry Judd, Lisa Snowdon and Tom Chambers. 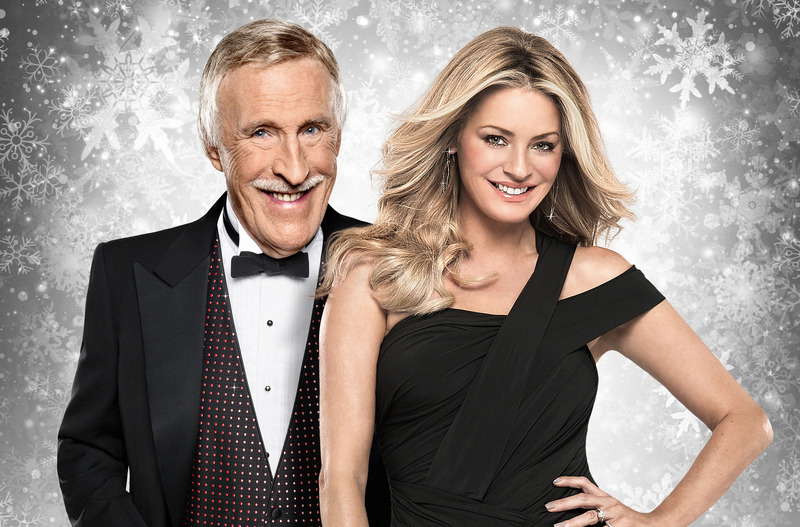 Picture shows: Hosts, Sir Bruce Forsyth and Tess Daly. 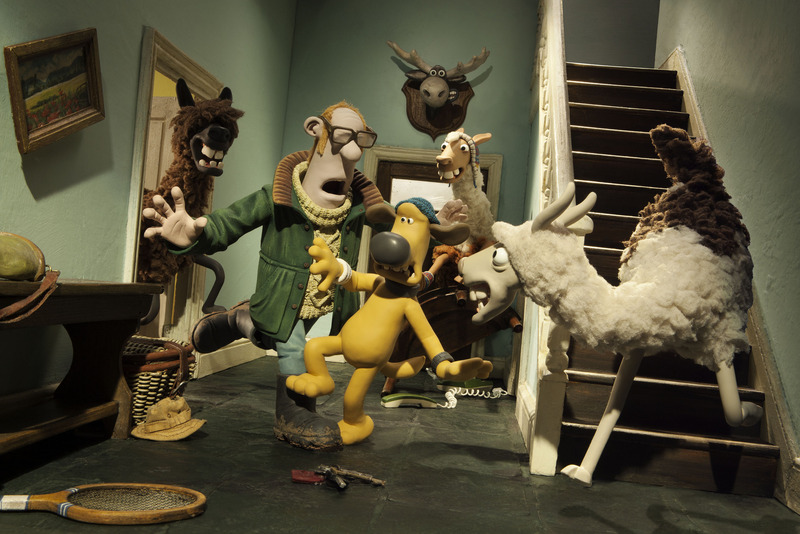 The stop-frame animated special will chronicle another of family favourite Shaun’s adventures and introduce a mischievous pack of llamas (Hector, Fernando and Raul) to our screens. Picture shows: Bitzer, Farmer, The Llamas. 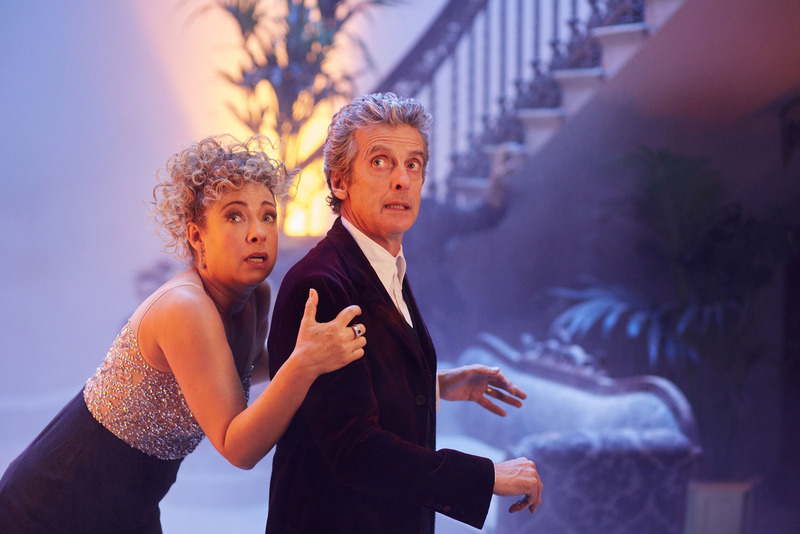 Picture shows: River Song (Alex Kingston) and The Doctor (Peter Capaldi). It’s Christmas at Arkwright’s, and Granville has his eye on a tree, which gives him more than he bargained for. Nurse Gladys gossips with Mrs Featherstone about tactics for her new job, and Eric and Cyril embark on a new fitness plan to impress their wives. Meanwhile, as Granville plans a cosy festive drinks party, can he and Gastric tempt Madge into the Christmas spirit? 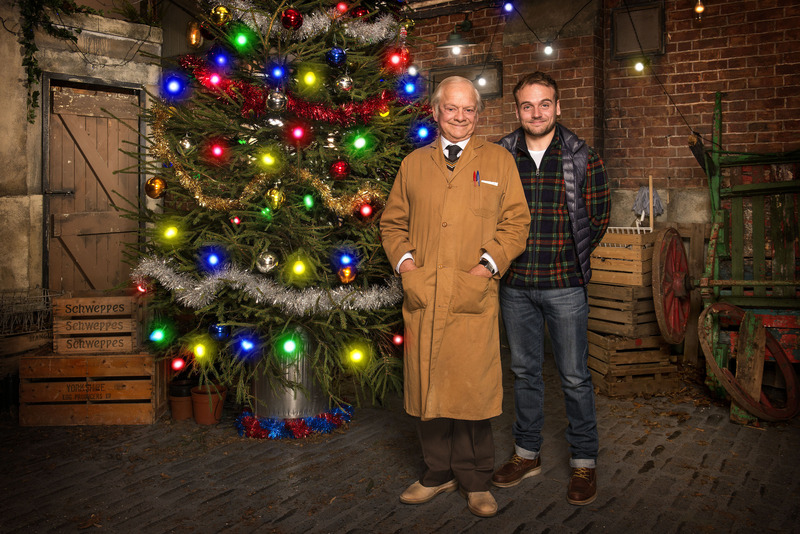 Picture shows: Granville (Sir David Jason) and Leroy (James Baxter). The hour-long special sees Branestawm face money troubles when his bills are literally out of control. In order to try and pay off his debts, Connie suggests he enter the town’s best inventing competition to win a cash prize of £1,854 and a thruppeny bit – enough money to pay off his tax bill. But can he out-invent the self-professed greatest inventor in the world, Professor Algebrain? 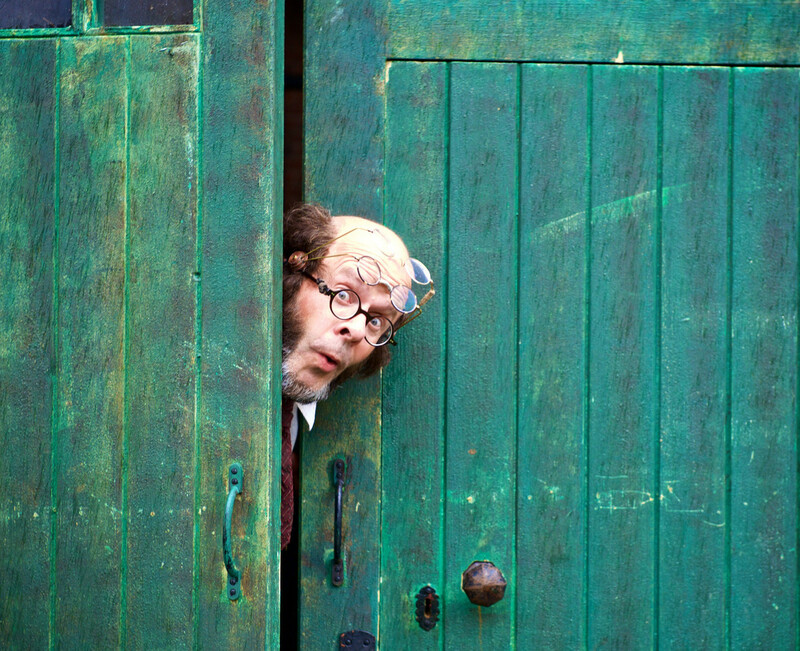 Picture shows: Professor Branestawm (Harry Hill). 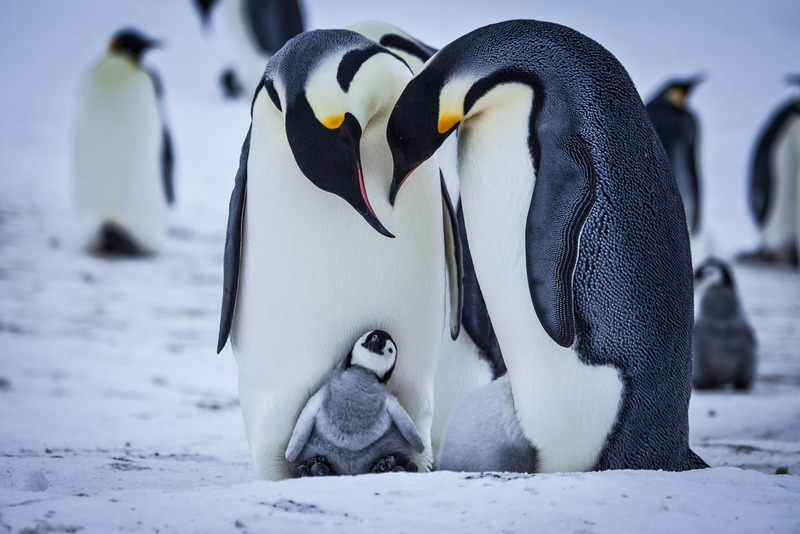 Midwinter in the Antarctic, and after months of blizzards and temperatures of -60°C, male emperor penguins are watching and waiting for their chicks to hatch. Snow Chick is the last to emerge into this harsh, frozen world. Narrated by Kate Winslet, The Snow Chick takes an intimate look at this tiny chick’s first precarious months on the ice, growing up in the world’s most extreme nursery. Emperor penguins are the only animals to breed in the Antarctic winter. Picture shows: Tiny penguin chick on feet looking up at adults. Christmas ‘tis the season to be jolly’, unless you are Dan Colman (Russell Howard), a regular guy who is about to introduce the woman of his dreams, Lisa, to his crazy but loveable west country family. With his fitness-obsessed Dad, party animal Uncle Tony, wonderfully inappropriate brother Jake and lovely but utterly bonkers mum … what could possibly go wrong? Picture shows: Sue (Sophie Thompson), Dave (Neil Morrissey), Dan (Russell Howard), Lisa (Hannah Britland), Julie (Kerry Howard), Tony (Greg Davies). Set within the fictional realms of Charles Dickens’ critically acclaimed novels, Dickensian brings together some of his most iconic characters, including Scrooge, Fagin and Miss Havisham, as their lives intertwine in 19th century London. The Old Curiosity Shop sits next door to The Three Cripples Pub, while Fagin’s Den is hidden down a murky alley off a bustling Victorian street. With a wealth of back stories sourced from the novels, Dickensian delivers fast-paced storylines with surprising twists and turns in this 20-part series. Picture shows: Dickensian cast featuring Caroline Quentin, Pauline Collins, Stephen Rea, Sophie Rundle, Peter Firth. Long ago, in the days before digital, when television closed down at night, there was an idea. The idea was that children should have – deserved to have – their own television programmes. Some people thought this was a silly idea. But others took the idea and ran with it. Featuring interviews with many of the pioneers of Children’s TV including Bernard Cribbens, Derek Griffiths, Janet Ellis, Johnny Ball, John Craven and many more, this is the story of the great days of Children’s programming. 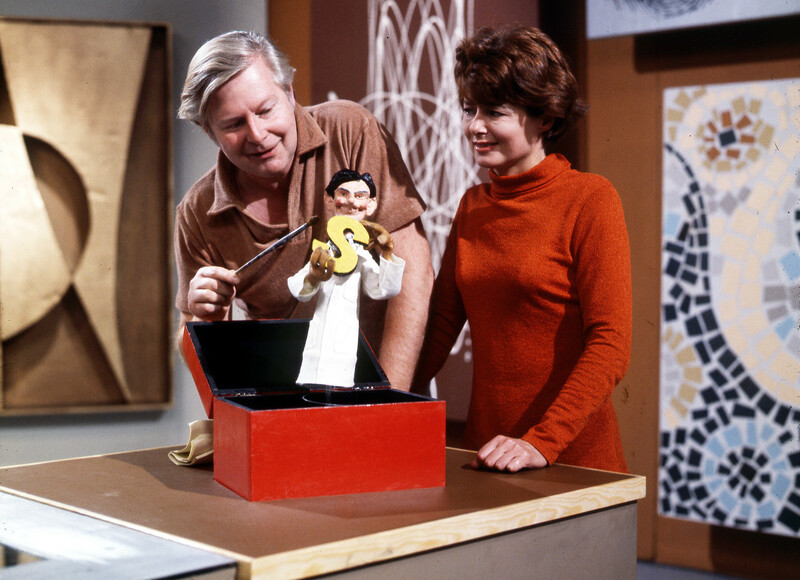 Picture shows: Tony Hart and Pat Keysell starring in ‘Vision On’ a programme for deaf and hearing children – first on air in 1964.